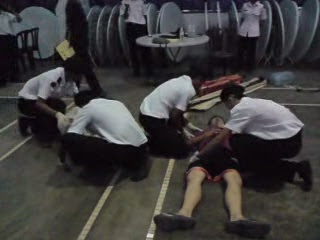 15 March 2009 - The Annual First Aid and Home Nursing Competition for area level started yesterday. 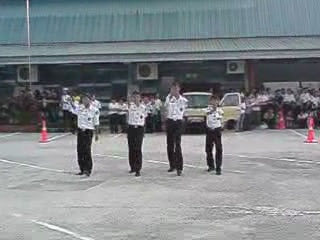 St Michael's Institution was sending two teams for the long-awaited competition, the Ambulance Cadet (A/C 12) and Ambulance Adult(A/A 5). High hopes were put on them as the Ambulance Cadet team was not up to standard and did not qualify for state level in the past 2 years. 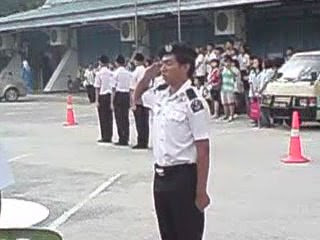 The Ambulance Adult team (Wong Joe Hang, Wong Yoong Xiang, Kisor A/L Thaiala Rao, Fong Teik Sum, Cham Swee Wen) and Ambulance Cadet team (Donivald Tham Kam Loy, Yoong Lip Zhang, Teoh Jia Heng, Lim Boon Kong, Justin Lui Tet Yoon) performed well during the competition. CONGRATULATIONS for both teams which qualified to state level competition! 7 March 2009 - 6 March 2008 is the day where he turns 17 this year. 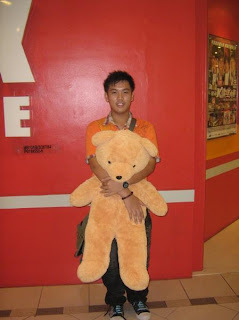 We bought a so call Teddy Bear for Beh. Celebrated at K-Box as usual. Nothing much, 生日快樂! The BM paper was quite easy to go through as it did not came out exactly like the SPM paper. With only an essay and a few subjective questions, I would tell honestly that it did not meet up the standard I expected. Who was the teacher who prepare it? hmm..
Sejarah paper was difficult as usual. With loads of facts to remember and stuff in the eleventh hour, I will not expect to get a good result out of it. Buck up! 15 small kids objective questions and a few kindergarten subjective question? No comments.. Mathematics is as tricky as u do. Facing with just a few minor problems, I will expect my marks to get at least an A2. At least those are just simple questions compared to SPM. It was like a sleeping lion just waiting for you to shoot. One shot, bingo. Once miss, Merry Christmas! 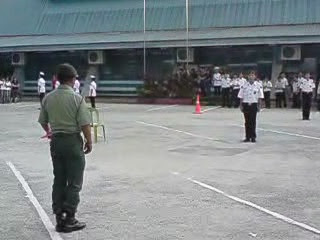 With only Form 5 chaper 1 in test, what can I say? I will be sorry for myself if I did not get the marks I expected. Alas, I did not expect it to be so tricky and headache. Maybe it was the weather, or maybe it was me. Nobody were to blame for it except for myself. Buck up and hunt down the A next time! It is not a problem when I can memorize all the nilai for this paper. But it is a problem when I can't do so. I did not manage to memorize the 36 nilai altogether. With 3 out of 4 questions that I know, 70 marks is what I expecting.